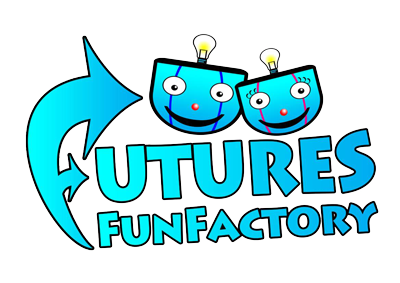 We want to keep Futures Fun Factory a safe and enjoyable environment for everyone. We require all attendees to be aware of the Rules and Regulations, so that everyone can have fun! Futures Fun Factory staff and management will take all reasonable safety measures for customers, however, FULL responsibility remains with accompanying adults/parents/guardians to supervise and care for their child, know where their child is and ensure that the child is able to locate them at all times. Parents/guardians must remain on the premises at all times and ensure their child is capable of using the play frame and equipment safely. Fighting or bullying will not be tolerated under any circumstances, should this occur all those involved will be asked to leave. This applies to both children and adults. Children who are ill or unwell must not use the facilities. Height and age restrictions are strictly adhered to by staff and you must comply with them. For hygiene purposes children must wear socks whilst using the play areas. Complaints/ comments should be brought to the attention of the Team Leader or Duty Manager on the day and a note taken of the staff member’s name. Group/party organisers are required to ensure that there are adequate number of adults present for supervision of their charges. Management reserve the right to refuse entry, alter times, attractions and prices without notification. Whilst every effort has been made to make Futures Fun Factory play environment safe and secure to minimise personal injury, accidents can still happen. Customers are therefore admitted at their own risk.